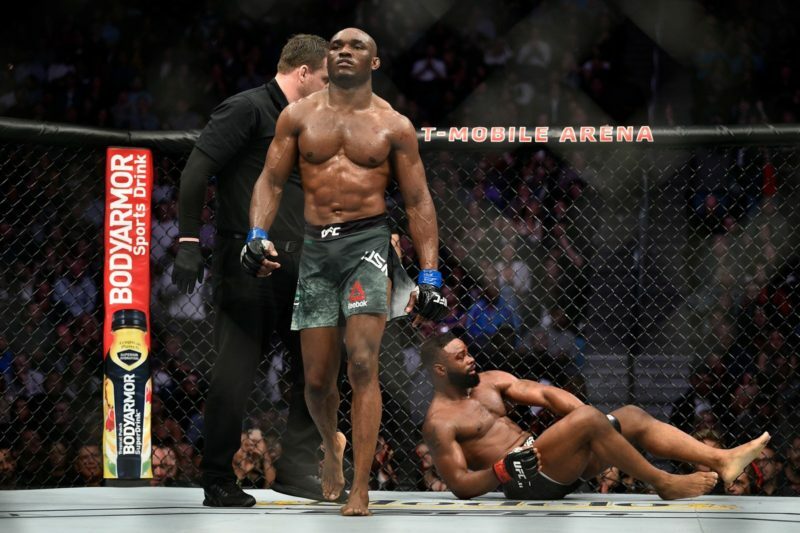 Kamaru Usman baffled by the UFC welterweight division, says "they're smart enough to know they have no chance"
After another amazing performance at UFC Fight Night 116 in Pittsburgh, Kamaru Usman is hoping for a quick turn around. About 11 years ago, Kamaru Usman was just entering college as a standout wrestler who compiled a 53-3 record upon graduation. After wrestling for a short time at William Penn University, Usman transferred to the University of Nebraska at Kearney. While there he would go on to win titles both at team and national levels from 2008-2010. Early in his college years, Usman and a young Jon Jones (who studied at Iowa Central at the time) met at a friends house. It was this time and place where Usman would get his first taste of a UFC fight. He recalled watching a prime Chuck Liddell facing off against Randy Couture. The mutual friend of Kamaru and Jon then suggested that he should fight and do what they were watching on TV. At first, Usman was hesitant. But over time, training with high-level MMA talent overseas and matching up well with them time and time again in practice, his confidence rose to a new level. 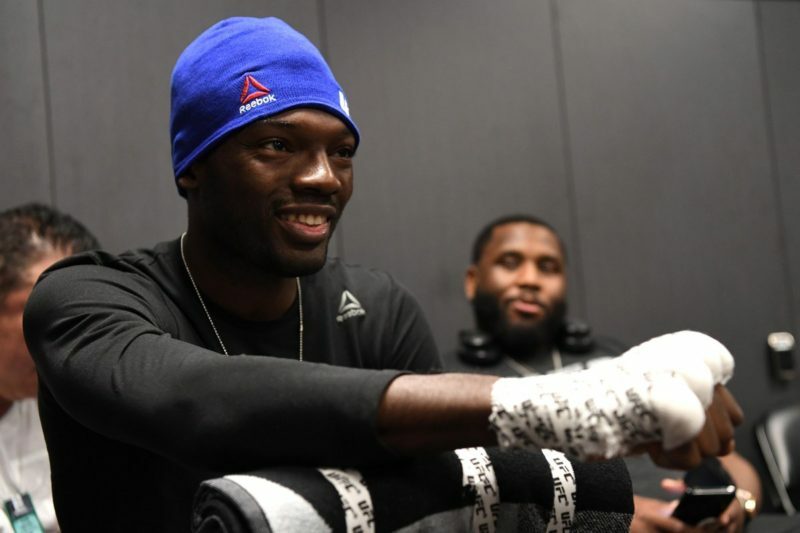 As he got acquainted with different talents in the gym, his relationship with former champion Rashad Evans solidified his path into a budding MMA career. In November of 2012, Usman would go on to make his pro-MMA debut with RFA. He compiled a 5-1 record with five finishes in the span of 18 months. The resulting tournament for The Ultimate Fighter Season 21 would be no walk in the park either. Throughout the competition, Usman was paired up against quality opposition like Steve Carl and Hayder Hassan on his way to winning it all. 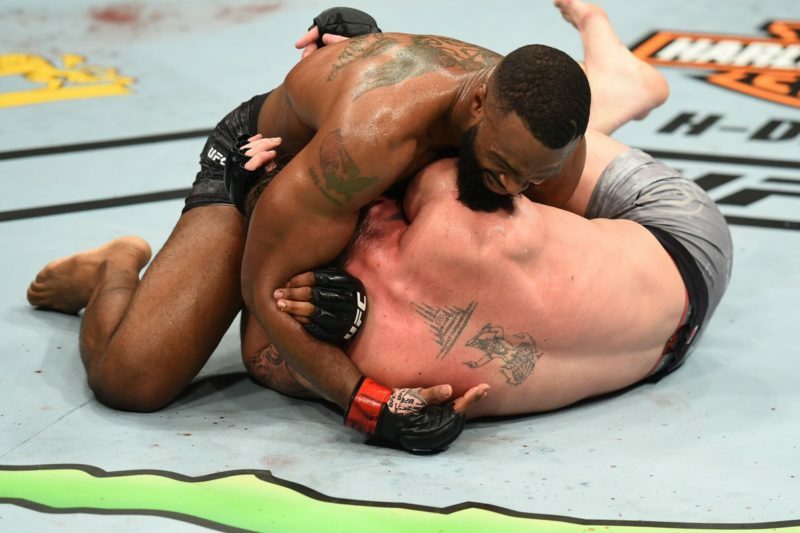 His resulting fights in the UFC have been dominant decision victories or devastating knockouts that have left every opponent merely waiting on the rounds to end. Kamaru Usman made a clear distinction about how his opponents train for him compared to any other fighter. For most opponents, you develop a game plan to win. Against Usman, you only plan on survival. The Nigerian Nightmare’s overwhelming style of fighting has left most of his opponents in the lurch. But even with the litany of names he’s dispatched, a ranked opponent within the top 10 has evaded him in his past two callouts. 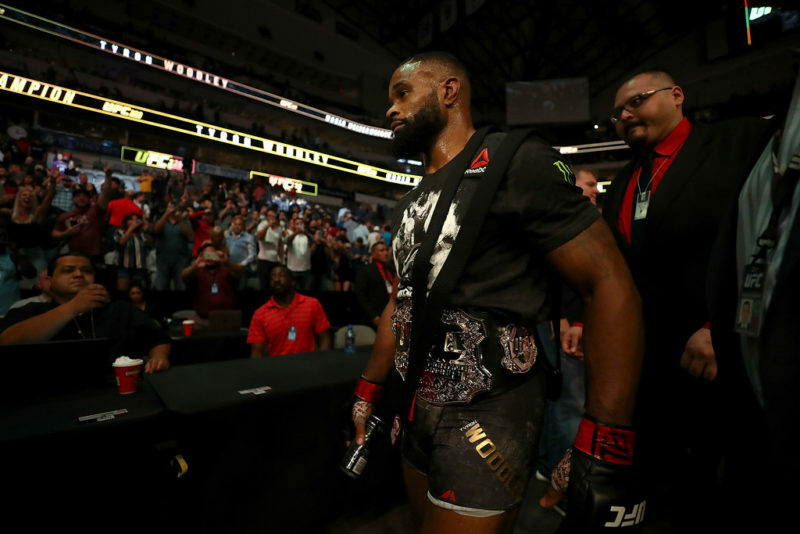 After dominating Sean Strickland at UFC 210, Usman went on to call out to call out Neil Magny to no avail. With another dominant victory over Sergio Moraes last month, Usman went on to once again make a claim for his next possible ranked opponent in Rafael Dos Anjos. Once again, Usman was denied his shot at a high-caliber opponent as it was announced that Robbie Lawler and RDA would face off in a title eliminator in December. With all the action that Usman continually brings to the cage, you would think the UFC would be doing as much as they can to push a fighter with the backing of a whole continent behind him. 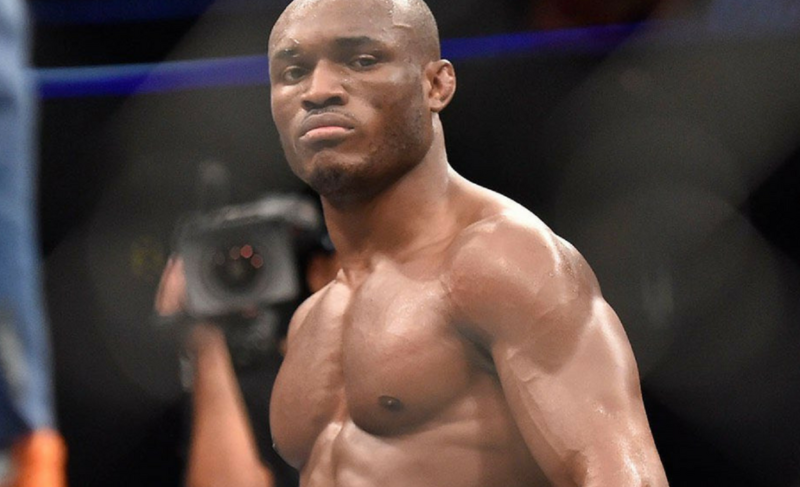 Kamaru Usman’s Nigerian roots are well kept in a country 180 million strong. But his reach as an African fighter can extend far past the boundaries of his home. 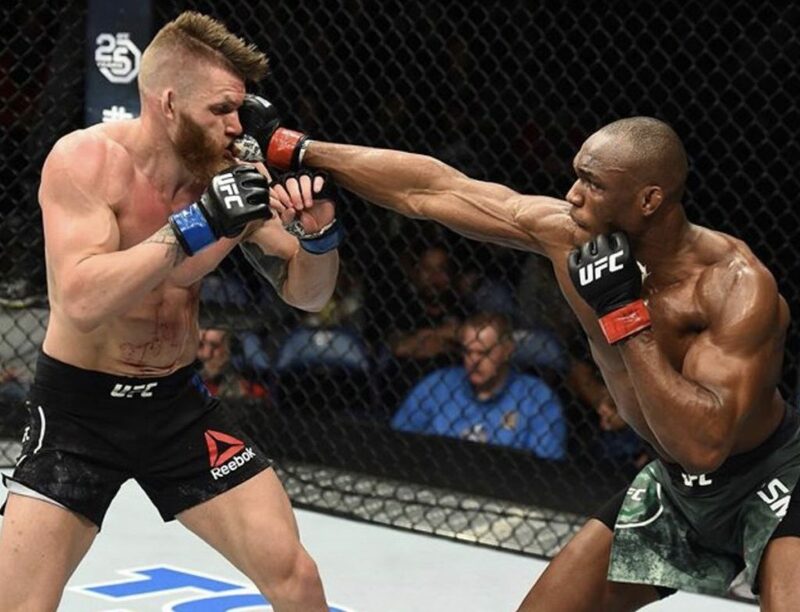 Africa as a whole will get behind the talents of someone like Usman as his exposure continues, and the UFC should be pushing his explosive talent in the same way they are making Francis Ngannou the face of the heavyweight division. It seems odd that a fighter like Usman could be so criminally undercut. This is the case especially considering that he is one of the premier talents to come out of the TUF house. If Usman isn’t training his heart out to beat the brakes off his opponents, he’s kicking it with the Pittsburgh Steelers. Or Usman is spreading the message to his fan base back home with interviews and appearances as his celebrity grows with his athletic exploits. Just a few weeks ago, Usman presented an award at the 2017 Afrimma Awards. It’s moments like these which are further contributing to that aforementioned exposure he’s pushing for. All the work he has done for his own notoriety has been autonomous. He talks the talk, walks the walk, makes the right moves and stays out of controversy. So, what’s not to love? With all the hoopla from UFC executives and fans alike over the ‘lack of entertainment’ surrounding UFC welterweight title fights, you would think a name like Usman would be a premier candidate for fans to stick to. But for some reason, the push is just not there. Usman detailed all the media he’s done across the continent, from Ghana to Congo and beyond. The Afrimma Awards was yet another example of how he’s attempted to connect with his African roots. Usman’s efforts clearly extend past multiple levels of entertainment and art. As he continues to indulge in his culture, you can only hope that the rest of the MMA media can get behind a talent worthy of the hype. The lack of a push from the UFC can quickly lead to frustration. When asked whether or not he can predict who his next opponent would be, Usman chuckled. Interestingly enough, he couldn’t give an honest answer at the moment. This is even considering the callouts, the tweets, and the back-and-forth between RDA and even Mike Perry. 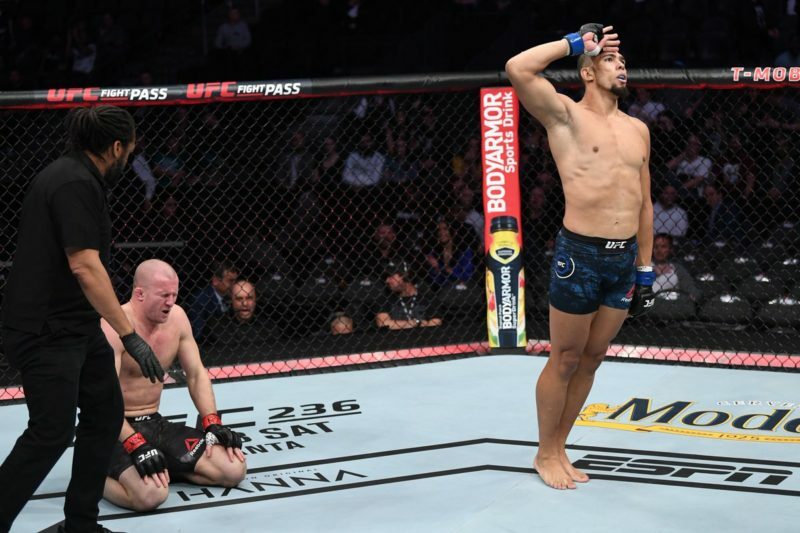 There’s also the multiple missed opportunities with Neil Magny, Dong Hyun Kim and beyond. It seems that everyone at welterweight is doing what they can to avoid this ‘Nightmare’ matchup. Regardless of drama, Usman is hopeful to have another fight before the end of the year. 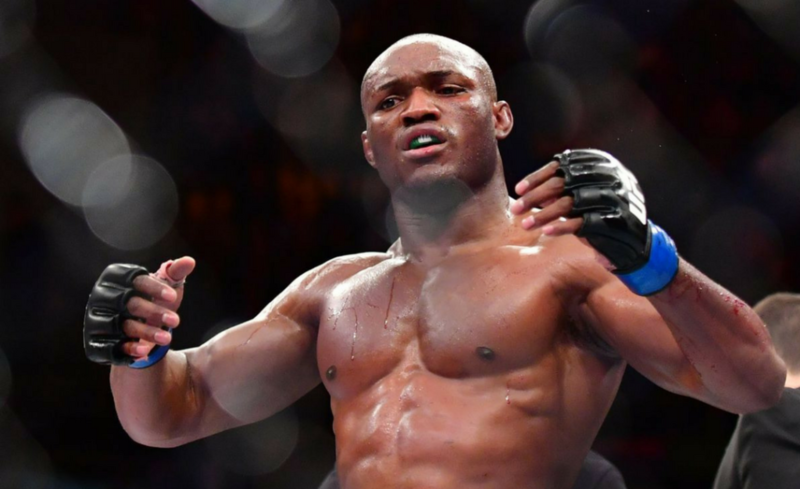 Who do you think Kamaru Usman will fight by year’s end? Leave a comment down below!